Problems vs. Questions: different epistemic objects? When I first started using FLE3 several years ago I saw no important distinction between questions and problems. As a matter fact, it seems in much of the literature that questions were considered simply one possible expression of a problem. So it was natural or actually unavoidable that when I taught my students to participate in knowledge building discussions that I focused on questions. I taught them to ask questions of each other and of nature--an essential part of the Interrogative Model of Inquiry, a foundational element of progressive inquiry. However, in my last three years of study I've gained a tremendous appreciation for the role of "problems" in the processes of science. Carl Bereiter extensively develops the idea of problems of understanding, and I had read a lot of his work, so I don't know why it took me so long to understand their unique role in knowledge building. Whereas questions serve as analytic tools for gaining understanding, problems are themselves objects of inquiry. Being educated in the US science education research community, we don't use this term, "problems of understanding" but refer to the closely related "discrepant event." A discrepant event is an event that not only can not be explained by our current understandings, but one where our understanding trips in its effort to explain the event and that is cognitively disturbing! When this happens, Piaget describes our mind as being in a state of disequilibrium, and able to commence the arduous task of altering an established schema. Personally, I like Festinger's development of the idea of cognitive dissonance to explain the state of disequilibrium that results from a problem of understanding. Bereiter might describe knowledge building as the discovering or creating of these problems of understanding and the subsequent, long-term, creative and collaborative process of solving them. Progressive inquiry then is a pedagogical approach describing and explaining how a class may be led--or grow--through cycles of activities as they discover, develop and solve these problems of understanding based on internal, external, and very importantly, distributed knowledge resources. FLE4 is the 4th iteration of open source software designed to support a classroom's knowledge building efforts. It scaffolds a class' KB discourse in a threaded online discussion by requiring a student to choose the purpose of his/her comment before posting, and only 5 purposes (knowledge types) are allowed: Problem, My Explanation, Scientific Explanation, Process Observation and Summary. I propose that these 5 knowledge types be expanded to 6 and that, as per a discussion with Minna Lakkala, "Scientific Explanation" be changed to "Source-based Explanation". The 6th knowledge type would be "Question", thus no longer conflating questions and problems. There are important metacognitive benefits, I believe, for students being able to distinguish between these distinct knowledge types, but won't argue that, here. However, briefly I'll distinguish these two KT's, here. ...centered around an experience, a perception, that defies adaquate explanation. A famous example would be Einstein's imagined event where he is traveling at the speed of light and looks ahead to a mirror he is holding. Another example familiar to the US science education community might be placing a current (amp) meter at 2 points in a simple battery/bulb circuit and noting the direction of current flow through the wires. Doing this test, one notes that, in one wire the direction of flow is away from the battery (as a student may expect) but that the direction of flow in the other wire is back towards the other end of the battery (which many students would NOT expected). This brings up a property of problems--they are referenced to not only the event but the understanding of the person perceiving: to one who understood electric current to be like water current, these results would be totally expected, no surprise, no conflict, no problem. ...an analytic tool we use to solve a problem. Looking at the second problem listed above, we might ask: "What is electric current made of?" "What is a battery made of and how does it work?" "How does a light bulb work?" and probably, "Does this meter really show the direction of current?" and "How is it possible that current flows into the battery?" Of course these questions can be too big and so they probably need to be analyzed themselves, breaking them into smaller constituent parts, or dividing them into different types of some general category, or organized into some sequence, or looking for causal relationships between parts. In the end, through this interrogation, a problem can be resolved and a new, more useful theory (and its connected body of facts and problems and ideas) are constituted. Uniting blog and knowledge site in one domain name-space, finally! I've not written much at all in this blog for 3 years. These 3 years--2 of which I dedicated almost full time to my dissertation research--have resulted in huge development of my ideas and understandings. Subsequently, this post marks an abrupt transition to my current understandings of knowledge building, progressive inquiry and much more. I aim to publicly post weekly. Until now my blog was at groosd.blogspot.com and my knowledge base was on my plone growingcos.org site. I'm excited to have finally consolidated them in a single domain namespace: growingCOS.org. And now back to blogging! I'm using a fresh setup of Ubuntu 12.04 LTSP-pnp with gnome-panel serving 18 Fat Client computers with a 2-NIC server setup. Students authenticate through the district's Active Directory servers via Likewise Open. I have a concept mapping application, CmapTools, that I want all users to be able to access easily through a menu. I've used: http://tuxtweaks.com/2009/07/how-to-add-item-gnome-menu/ in years past to successfully add menu items for all users, but not sure if it works with this version of Ubuntu. Doesn't work yet. This is what I did. Using the built-in menu editor I added the application to my menu (added it to the Internet menu). Then rebooted the client, logged in as a test client, checked the Accessories menu and it wasn't there! Logged out and then logged back in as my own user on the fat client and CmapTools was in the menu! So, works in my account but not in a student account on a client computer. What's going on? I've done some more reading on Computer Supported Collaborative Learning (CSCL) literature today and need to do a brain-dump (with the help of my notes). A tool is something to help us solve a problem. Scaffolding is a tool or assembly of tools designed to decrease the cog. load required to do an activity. Procedure vs. Principles: Procedures and routines help students learn how to do something new/complex and can help transition activities. However, as those introductory things are mastered, it becomes urgent to develop new, more flexible scaffolding (is this like the gradual release of responsibility?). The community needs to reference itself and its operations to the principles of KB, not to procedures simplifying KB. As they say, "The challenge is to ensure that idea improvement rather than the completion of a specific task or routine is at the centre of the educational enterprise." 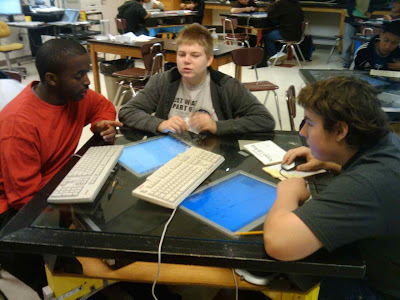 Innovative learning environments need to support individual as well as collaborative learning, yeah, and KB as well. Wow! lots out there. The Chinese have created something called Learning Village (LV) which I believe is a MP game and specially scaffolds KB. 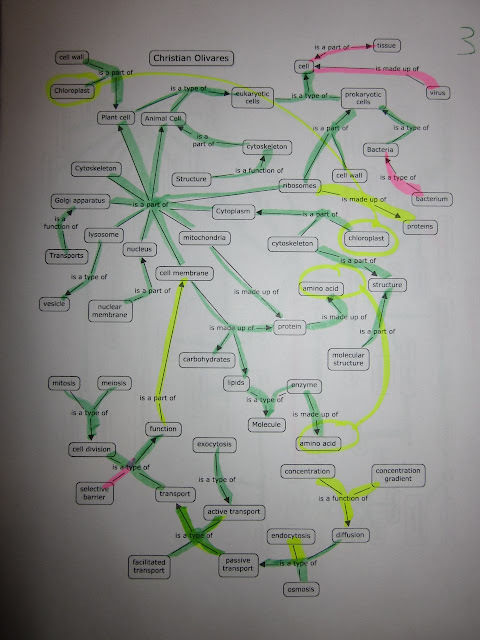 One group of researchers compared a group of students making concept maps on evolution with another that collaboratively corrected a few, pre-created concept maps with specially designed errors in them--these errors relate to common student misconceptions of evolution. They require less time to gain somewhat superior gains in dealing with the misconceptions, supposedly. With respect to using computer interfaces, it also is known that as cognitive load increases with task difficulty, users spontaneously shift to interacting more multimodally. Thus the need for cmaptools-like apps. The affordances of tools are not always appropriated the way one expects. And that affects how KB interact. The concept of ‘affordance’ asserts that learner and tool are mutually constitutive and inseparable (Gibson, 1979). It's helpful to think separately (also) about the interaction of learners with the tool and interaction of learners with each other via the tool. Some roles in a KB dialogue are more productive of KO and of learning. What is the difference between Religion and Science? As a science teacher, and a teacher of biology where we of course educate students about evolution, it is important to consider the difference between religion and science. Some might say, science is just a myth--a story that explains how things work, just as is religion, and I would in part agree. But if that is so, some ask, why should we give science special authority in our lives? Well, I wouldn't say one is intrinsically more important than another, importance depends on values, goals, and beliefs. There are, nonetheless essential differences between the two. One thing that sets science apart from most all religions is the fact that scientists are constantly trying to improve the content of science. Religious leaders and practitioners however do not attempt the same type of improvement--that isn't their goal. Their goal is instead to strive to understand and interpret and follow the teachings/beliefs of their religion. Thus, the scientific idea of how species developed (the theory of evolution) is qualitatively different than a creation story -- a religious idea of how species developed. In science we are constantly examining evidence around us, all kinds of evidence, to see if our ideas of evolution should be improved to be more consistent with that diverse body of evidence. I think in religion it would be considered blaphsmous to try to improve on it's creation story. However, it would be very appropriate to improve ones answer to the question, "What does that story mean to me in my life?" Therein lies the power of science: it's drive to constantly improve its knowledge, to make them more consistent with what we see around us, to make the explanations better at solving more and broader problems. And, that's why it's important to not equate religion and science--each domain is designed to answer different kinds of questions, solve different kinds of problems. In short, if you want to know where the huge diversity of species has come from, look to science for an answer. While one might imagine it would be a simple thing to delete a few games from the computer menu, such was not the case. One solution that was great but is currently full of bugs is Sabayon--it needs constant update and it doesn't get it. A solution that was more efficient but just designed for menu management is Edubuntu menu-editor is working in Lucid, but appears to not work well with the Games menu for specific reason. The approach I used successfully and document below is a combination of edubuntu menu-editor and deleting applications. Thanks to Hyperbyte for a great link, mgariepy for help with menueditor and alkisg for help deleting files (not as easy as it sounds). At the fatclient opened Applications/system/Edubuntu menu editor and made a profile where no games were active, called the profile mrgg. Imported the mrgg profile and associated it with the group: testg1. that still left 2 games “Potato Guy” and Ri-Li so I tried entered the chroot with: sudo ltsp-chroot -c -p and typed: sudo apt-get remove ktuberling (the package name of potato guy) BUT, this also wanted to remove ubuntu-edu-secondary. Not good. I knew there were a lot of apps I liked in that package. apt-get install dia-gnome inkscape kalgebra kalzium kbruch kig kmplot kstars ktouch ktuberling kturtle kwordquiz marble parley qcad ri-li step vym Marks them as manually installed. Now I can sudo apt-remove ktubering, and even though it also removes the package ubuntu-edu-secondary, it removes none of the included apps. And finally I also sudo apt-remove ri-li and I am done! All menus are as they need to be! : dgroos: I want to install sch-scripts into the new fat client on which I'm working. : dgroos: The image is on the server I used last year though I did delete the thin client image. : dgroos: I already installed the client and am wondering about the server sch-scripts app. : dgroos: How can I launch it if I can't gain super-user permissions? : dgroos: (I saw you say on a forum that you can't sudo with fat clients). : alkisg: So, the best you can do, is to ssh -X or vnc to the server, and run sch-scripts from there. Or to use a thin client for the teacher. Or something similar. : dgroos: congrats and great and thanks! : dgroos: alkisg: and, if I can help with the translation en_us let me know, I'd like to help. : dgroos: also, I could help during the end of Dec with Spanish as I'll be with my Guatemalan-inlaws who could help. : dgroos: I say again yer English is good very! than mine. : dgroos: I've had no luck finding any info on how to use ltsp-remoteapps. Do I just type: "ltsp-remoteapps sch-scripts"? : dgroos: In some list-server e-mails Todd O' wrote the following about using fat clients: "I was able to get root access by doing:"
: dgroos: and setting the password. : dgroos: does that relate? : alkisg: dgroos: the clue here is "you almost never need sudo on fat clients"
: alkisg: Let's start there. WHY do you need sudo? : dgroos: Quoted from above: "alkisg: (sudo sch-scripts, might not work with remote apps and need to edit sudoers instead)"
: alkisg: If you were sitting on the server and tried: sudo sch-scripts, what would happen? : alkisg: Makes a bit more sense now? : dgroos: got it. So how might I find a how to about setting this up? : dgroos: so I can put this line several times: teacher ALL=NOPASSWD: /usr/sbin/sch-scripts but just using a different name for the different teachers? Do you think there will be issues if teachers are using this concurrently? Success! After years of effort (semi-literally), students now authenticate while sitting at their LTSP fatclients to our district LDAP! The first time they log in, it also creates a home directory for them on the local server. Here's what I did (but don't follow these directions blindly--it would be a bummer if your system was different and somehow you got locked out of your system and you had to open things up with a live disk and then troubleshoot). I spent several days reading up and testing on a test setup at my house. I did try winbind and I did try webmin and though the latter was very good, it wouldn't take me all the way, therefore I finally ended up using likewise-open which worked great. Of course the following description doesn't tell the few-day long side journeys I made. So, based on my long-journey success (thanks go out to Doug Roberts with the MPS!) I then set out to make this work on my other server. As you can see in the following notes it didn't go via simple recipe but it wasn't too hard, just long. After making the page/script and running sudo pam-auth-update it took me to another package configuration page and I made sure that every item had an asterisk before it, EXCEPT: "Winbind NT/Active Directory authentication". The AD authentication will be done soon with likewise-open. This step makes sure that all of these methods would be used in the authentication process. That is all the further I needed to go on that page, skipping everything after "LDAP Host Access Authorization". I double checked that /etc/ldap.conf had the correct base (about 10 lines down) and it did. When asked I typed in the user's password. Change the automatic location where the home directories will be created. Follow the directions here: http://ubuntuforums.org/showpost.php?p=9320266&postcount=16. This explains a bit the process of updating the .reg (aka registry) file (skip the install--we already did it). It uses .reg files instead of .conf files like the previous versions of likewise-open. Thus, the .reg files have to be checked out, edited, then checked back in. Change the line from: from likewise's default location.... "HomeDirTemplate"="%H/likewise-open/%D/%U" to: "HomeDirTemplate"="%H/ad/%U" (I had to change this in 3 or 4 places.) The %D means the domain name. I went to webmin, clicked on unused modules, then clicked on "LDAP_Client", clicked on configure, set the file to /etc/ldap.conf and saved it. 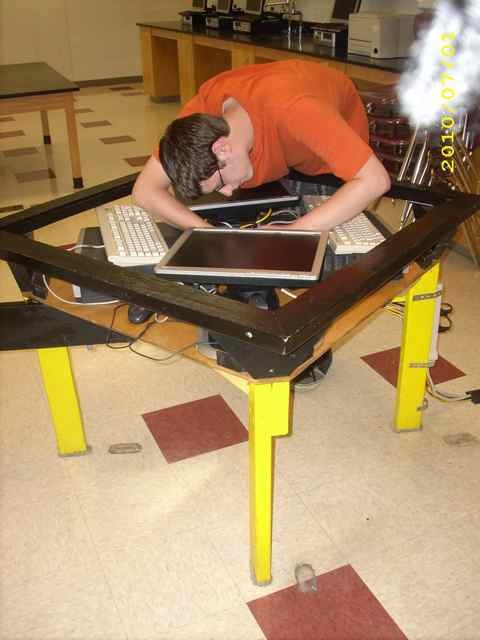 Ideally, the tables support 4 students with independent access to computers, ie, 1 computer per student. Therefore, this shows the idea on how to place all the hardware in the space of the table. This is a top view showing the SFF computers (those are the smaller 'squares'). The next larger square, the one centered in the middle, is a piece of masonite, 2 ft square. This hides all the cables in the middle, and also supports the flat panel displays. The 5 inch diameter hole in the middle serves as an escape route for the heat generated--it will probably need a fan built into it to let sufficient heat escape. The flat panel monitors rest exactly above the computers. dell optiplex gx270 pxe boot does not work with LTSP on Lucid. Many hours were wasted by me and others because I didn't know this about the optiplex gx270 sff computers. I went on many sites, some by Dell, trying to make them pxe boot into ubuntu 10.04 via LTSP, but while I could follow the directions easily and rechecked many times, they didn't boot often and only by going the F12 in the BIOS. So anyway, FYI, dell optiplex gx270 pxe boot does not work. This is the first Pentium 4 I've found to not work. Here's a cool site: paste in a page of text or so and it makes a 'tag cloud' of it. http://www.wordsift.com/ is also will give a vocab/meaning map of any selected (or typed in) vocab word. Very cool. http://www.visuwords.com/ is the page I had been looking for. This tool has 2 biggies-- it is has the cool 'wiggle-factor' and it gives more info by the color of the word (green is verb for example) and the links are also coded by shape/color to show part of/kind of relationships. Looks like the software that powers the site is related to this: http://www.apachefriends.org/en/xampp.html however that site is referenced here: http://www.linux.com/archive/feature/114337 though that is an older page. This looks like #2 above but isn't so open/free: http://www.visualthesaurus.com/ though it seems to use the same wiggle-engine. To backup the fle4 WordPress sites requires 2 steps, first is the backup of the database of comments etc. The second is the back up of all of the files on the server which are inside the database folder, in my case, "blog". Go to the dashboard of the base site, go to Tools menu on the side and select phpMyAdmin. Scroll to the top, click on the "export" button. On the next page in the "Structure" section check the 2 boxes: "Add DROP TABLE" and "Add IF NOT EXISTS"
At the bottom make sure the "Save as File" box is checked. If the database is very large use some kind of compression method otherwise simply click, "Go" and the backup file will be downloaded and saved onto your local computer. The name of the backup is "database name.sql" since my database name is "blog" the backup was called, "blog.sql". The name of the database is perhaps the name of the directory that holds all of the files for the instance. Step 2: Scroll to the top and select the "Export" tab. Steps 3 and 4: Check the additional boxes as described and shown above. Find the location of the directory that holds all of the database files on the server--my were in: /var/www/html/blog/. And 1,802 files later they were in the folder "blog" on my desktop! When a student changes periods/class, one must change his/her FLE4 site. There are (at least) two ways to change a student's class/site. (UPDATE! ONLY 1 WORKS, THE OTHER MESSES UP THE SITE ADDRESS! 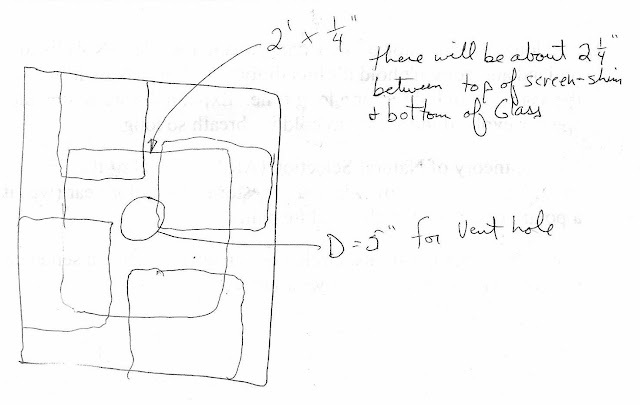 "Solution 2" below does NOT work!) The easy way to do this is to go to the site dashboard to which you want to move the student. Then, click on the dropdown on "users" and select "add new". Then, in the "Add existing user", type their username into the box, click in the "Skip Confirmation email" box and click save. Solution 2 (bad--don't do--this changes the url of the site, it doesn't change which site a student belongs to): go to the "Network Admin" button at top right, then click on "users" and find the user and the link on the far right of that interface to sites. If the user belongs to a site in addition to the base site, then there will be a link to that site as well. Hover over that edit link, click on it and edit the line that says "path" so that it shows the route to the correct site. The easiest way to restart wordpress (so to say) is to restart the server. I should have done that after the update I did on the server last night since in P1 today the fle server became unresponsive and I couldn't even reboot it--had to have Doug restart the VM. Make sure that you go to each site's dashboard, go to settings, then privacy. Select, "I would like to block search engines but allow normal visitors". Then make "Blog Public" = 0. Also, comments per page = 100. Also, allow for 8-deep comments. Together we've given away Edubuntu-bearing computers to 35 or so student, with maybe 20 more to give before the end of the year. I thought I would wait till after Natty came out to give them the brand new system! I've been using bit torrent to download the 2.3 GB iso since it was released this morning, and it should be done in less than an hour! Can't wait to load it on a computer, set it up, create the image, blast it onto the waiting student computers and get them to the kids. They really love it. FLE4-- how do you create the "Big Questions" that initiate the knowledge building? Ideally, the Big Question must require the standards-mandated concepts and skills to solve them. These Big Questions must engage students. Bereiter says that we need to give problems that are of authentic interest to our students. Knowledge objects need then be marshaled and created as needed to solve these problems/answer these questions. Students learn to value knowledge objects as tools, and gains skill in the use of these tools in solving problems in their lives. The Big Question can't be to general or too specific. As I have found from experience, if the question/problem is too overarching, to general, I as a teacher have a hard time managing the long and complex spiraling inquiry that is required to build a series of knowledge objects needed to adequately answer the Big Question. Likewise, if the Big Question is too specific, little inquiry is inspired/required. Genetic information found in the cell provides information for assembling proteins, which dictate the expression of traits in an individual. Variation within a species is the natural result of new inheritable characteristics occurring from new combinations of existing genes or from mutations of genes in reproductive cells. Evolution by natural selection is a scientific explanation for the history and diversity of life on Earth. (You can see in the third big idea above where it says, "... is a scientific explanation..." is a nod by our ex-governor, Pawlenty to part of his constituency the anti-evolution lobby, here in Minnesota.) At the bottom of the post I've listed the, "benchmark standards" that tells what students must be able "to know and do". I've looked at these groups of student-created questions and created that initiating question for each group. I've had students create the overarching question for each group of questions. And in either case I've used the student-generated questions in 2 ways. First, I just told students to start engaging in the KB and they could add their specific question under the appropriate Big Question if they wanted. They ususally didn't and their initial questions were usually lost. The other way I've advanced is, upon engaging in FLE4 KB, I've directed students to type in their own, initial questions under the corresponding Big Question. This was not good, however, that while it was logical, it was too circuitous and disconnected and did not lead to a good discussion. This time, I'm not creating an overarching question (which often is not a student's question but is instead a synthesis of their question), but instead choosing one student question to represent each group. I then type all the rest of the questions in that group in the description for the post. I'm careful to attribute the questions to specific students by including their first names next to their questions. Ben -- how are new organisms created? Thalia -- how do they know when a skull comes from a female or male? Marilu -- how do we know that evolution has happened? Xavier -- when they say, "2 million species" do they mean like a regular cockroach and a Madagascar hissing cockroach being 2? Somsanith -- why did Darwin choose to study nature? Normally I would have carefully crafted the wording, but what I loose in precision by quoting student questions I more than make up on student buy-in, I believe. If I have it installed as a root install I would have to use sudo, otherwise don't! to stop or restart or check status use bolded word instead of "start". To the Style Whitelist box, add color & background-color. Eddie and Christen are coming today for an hour to prepare to launch into using CmapTools. While neither of them have used it yet with their classes, in addition, Christen's students are also just learning how to use the computers today. Go to the http://concept-maps.blogspot, log in and make a new post. 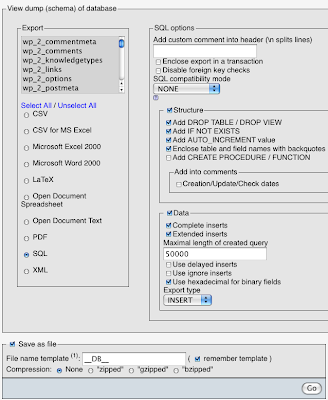 Open CmapTools and do setup with sheet. Setup online structure of folders. First use of CmapTools: students open CmapTools (Applications-->Graphics-->CmapTools) and the splash screen will open and the registration screen opens behind it! You then grab the top bar of that window and move it out from under the splash screen. Students fill in the registration info as shown here log in just do user account setup (use school username and their new district password). The second video down shows the process on this page: https://wiki.mpls.k12.mn.us/groups/gcos/wiki/b43f4/install_CmapTools_.html. Once everyone has that done, then log off and do a non-related activity. That will be enough! NOTE: CMAPTOOLS HAS A "WINDOW MANAGEMENT BUG" as can be seen that that the registration window appears under the splash screen. Another manifestation of the bug is that students might not be able to click into any fields in the registration window! Simply hit the space bar and this will allow you to click into the fields in the registration window. Silly, I know. Second time Students use cmaptools have them do some fun, 'follow the path' assignment. This is a core skill they need. For example, "What is the name of the 3rd folder (not file!) located at: Teachers/Mr. Groos/aaRHS/bbRHS09/P2/Individual student folders/?" After they have been introduced to this, give them to directions to the specific folder in which they make their own Personal folders. Then give them a copy of this flowmap for detailed directions. See below for copy. Third time students use CmapTools, make first cmap file: Possible task: "Make a bubble map on science in one of the partner's student folder". 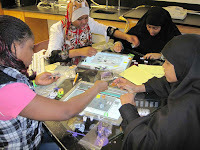 Their learning objectives would be to learn/get better at: a) navigating views window; b) connecting bubbles with lines; c) make un-broken connecting lines; d) make broken connecting lines; e) make arrow heads always appear; f) create a bubble map. May want to skip objectives d and e as these can be a bit too much for the first time. Fourth time use of CmapTools, students in partners make a double-bubble map comparing themselves and partner. This requires additional skill/knowledge: on how to make a double bubble map. If students are fairly familiar with the double bubble thinking map then you may want them to work directly in their cmap file. Otherwise, you may want students to plan out their map first in the notes, then copy it into their cmap file. A further activity (for another day) might be to change the look of this file to show additional knowledge, like each person has a different color of bubbles but the bubbles showing what they have in common could be a blended color. Show student bubbles on the overhead when people are done! Add the blue logout button to the panel--easier for students to logout and makes Classroom Admin close more gracefully. About Classroom Admin--may have to quit it and restart at the end of each class. I just set up a new server that is running localapps. The following is the start of the /var/lib/tftpboot/ltsp/i386/lts.conf file I used. By declaring the hostname of each client I was told they boot or login more quickly AND it identifies them relative to the seating of the classroom when I use the Great Greek sch-scripts. There seems to be an issue with cloning my Ubuntu 10.04 server and clonezilla. When I tried to create a backup image of the disk I get the: "Something went wrong" message. On line I found that the problem is probably with the i-nodes and the easiest way to solve this is to use clonezilla with the fsck option. Start like one normally does when cloning, but don't choose 'beginner mode' instead choose 'expert mode'. Then you'll go though some similar screens but then you'll get to the advanced screens. Always choose whatever option it defaults to, but one of the screens will have lots of options, one of which is "-fsck-src-part", select that and continue on and... things invariably work. I wish I had recorded this on my blog the last time I had to solve it, but got it now! I just got off of #ltsp with alkisg. I needed further details on the hoped-for solution for next year set-up which wouldn't require using network cables but would require using at least 1 fast wireless access point and... The following is a slight bit abridged (to remove extraneous content). [3:44PM] dgroos: I'm wondering if you've had further thoughts about your idea on clustering over wifi. [3:47PM] dgroos: Having 8 recycled P4's as elements of a cluster, connected via wifi, then each of these elements would be connected via ethernet to a few computers at the table. [3:50PM] dgroos: Thus, the fat clients would be able to boot via cable as they are designed to do, but they wouldn't need network cables leaving the tables. [4:10PM] alkisg: And you would have 1 authentication server and a common nfs home for everyone? [4:10PM] alkisg: Or local nfs homes on those clusters? [4:12PM] dgroos: if there would be memory limits since the p4 elements are 32 b arch. [4:13PM] dgroos: or, if there would be compatability issues with a 64b machine along with several 32 b machines. [4:14PM] dgroos: Wow--so I could get some very small hardware to do the job--fits in the table better. [4:16PM] dgroos: Would I even need a strong server in the cluster? I'm thinking of storing the home folders there--is that how you would recommend it? [4:19PM] dgroos: Kids would definitely change places several times throughout the year--practice in working with new teams etc. [4:20PM] dgroos: OK that doesn't sound like it would generally be an issue. Would it get loaded locally on the fat client when a student logs in? [4:21PM] alkisg: How many students using a single wifi access point? And what speed? 50 mbps? [4:24PM] dgroos: And, I wonder if I could put a couple of access points, at least 15 (for 2-1 ration) or better yet 30 separate users at any time in a classroom. [4:25PM] alkisg: I think I'd implement the other option, the "syncing /home/username locally when the student logs on"
[4:26PM] dgroos: Would I need a regular (dual-core xeon) server if I had all home folders on it and was using pentium 4 fat clients? [4:26PM] dgroos: OK, I wonder how difficult some script like that would be? [4:28PM] alkisg: Each cluster could have its own versions of sch-scripts, you'd need a master one? [4:29PM] dgroos: When you say each cluster, you mean each element of a cluster? [4:30PM] dgroos: OK I was thinking that each of the 'servers' at the table would unite and be part of a single 'cluster'--I didn't have the under-the-hood visualized, however. [4:32PM] dgroos: That's what I was imagining when you said cluster! [4:39PM] dgroos: OK, right, each night or whenever, I could rsync the master home directories with the home directories on the table-server (for just the students who sit at that table). [4:41PM] dgroos: This is almost sounding like a done deal (ignorance is bliss :D ). [4:43PM] dgroos: Isn't there an option with rsync to take the most recent version? [4:43PM] dgroos: "last logon server"? [4:47PM] dgroos: are you envisioning when a user logs out the changes get exported from the table server to the home folders on the master server, then when that student logs in the next day or at a different table they get updated back at the table server? [4:48PM] alkisg: (1) how often would kids change tables? and (2) do you keep daily backups for /home? [4:50PM] dgroos: 1) every couple of weeks in my class but in come teachers classes it could be almost every day and in others 1 time a month. 2) I haven't kept daily backups but I could I guess. [4:52PM] alkisg: The next day he logs on again to table A. No syncing happens at all. Very very fast. [4:53PM] alkisg: The next day he logs on to table B. [4:53PM] alkisg: The script sees that the last logon location was on table A. [4:53PM] alkisg: So it rsyncs directly from table A to table B, and updates the entry about the most recent login, which is now on table B. [4:53PM] NeonLicht: And what happens if tablet A is off/broken/lost? [4:54PM] alkisg: Then a clean folder is used, or, if an old one is available, the old one. But the user should be prompted on that case. [4:56PM] NeonLicht: The master can use a NAS, with RAID, or ZFS. [4:57PM] NeonLicht: A sync back to the server after use could be a good idea, I think. [4:57PM] dgroos: and when a student moved from one table to the next there would be updating of the student's new table-server home folder. Slick! [4:58PM] alkisg: dgroos: are you planning on frequently moving the tables, i.e. is the possibility of the "last logon table missing" high? dgroos: NeonLicht: The NAS would be for backup purposes then? Joe Purvis just sent me an e-mail looking for further information with which to educate his administrator on GCoS. He, along with James W. and Andrea E. from Anwatin Middle School are planning on building their own set of computer-embedded tables this summer. As I was responding to his request for information, I realized that I ought to do it right and put it out here in the public domain. So here goes. Embedding computers into students' normal workspace--a shared workspace--is the key innovation. It is this that brings all the other tools to the table. 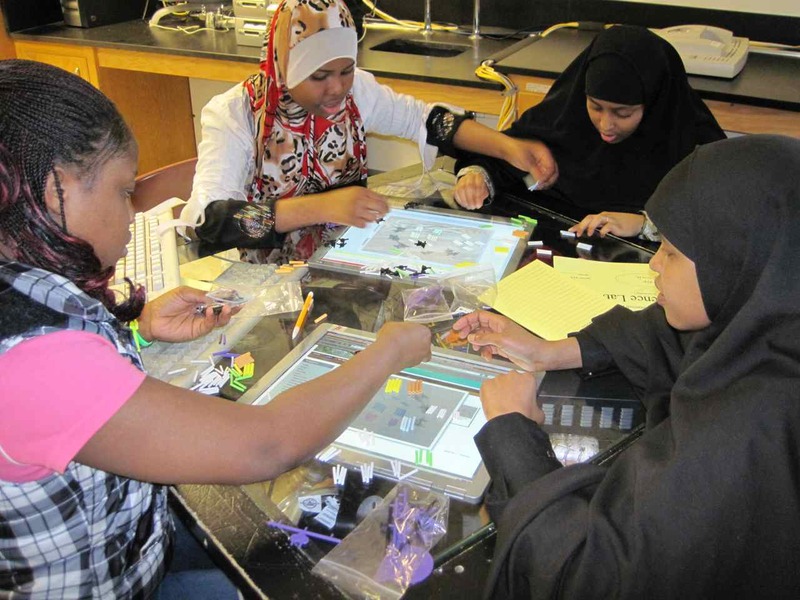 Under the leadership of a skilled science teacher, these tools enable a classroom of students to grow as a community of scientists. Here are some pictures of the 4-person, computer-embedded tables in action. Here are some of the tools that I use with my students. Am I using them systematically to their maximum capability--for sure not. Nonetheless, many exciting and important things are happening already including increases in student metacognition, science conceptual learning, learning scientific inquiry, closing of the 'digital divide' and ownership of their own scientific pursuit. It also transforms student-student and student-teacher relationships, allowing for authentic student discussion of science ideas--and in their own words, with their own questions. For an example of this last point, note the FLE4 in the link in number 4, below. Access searchable knowledge objects such as static web pages, instructional videos, Simulations, Flash content. 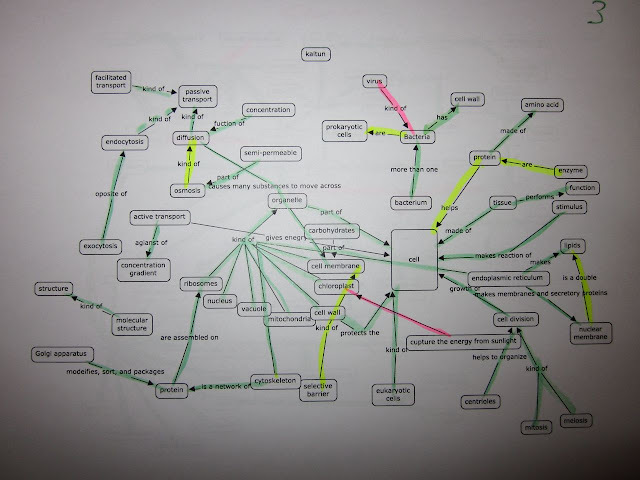 Individual Creation of shareable resources such as Vee Maps, Thinking Maps, Blogs, Concept maps. Collaboratively create and improve Knowledge Objects such as a wiki, web page, Vee, Jigsaw project, thinking maps, concept maps. Scaffold communication around objects of inquiry such as FLE4, voice thread. Digital Resource centers such as a scanner station and printer station. These are just a few of the tools a teacher will use in the GCoS classroom. Below are a few examples of these tools. These tools are used within larger frameworks such as knowledge building and progressive inquiry. This link provides a solid introduction from some brilliant researchers in Finland who have been working on this for years. They are also the creators of one of our tools, FLE4. Create and organize curriculum such as this flow map I'm currently working on. To go to a link on the flow map, click on the icon, then click on the words that drop down. This concept map show the conceptual organization of the unit I'm currently planning. It is based on the district supplied list of required vocabulary words for the topic. Create and organize and present daily lessons such as this one and this one. Note that by clicking on the, "Also available in presentation mode..." at the top of the page, the web page becomes a 'powerpoint' presentation. They are accessible from home. 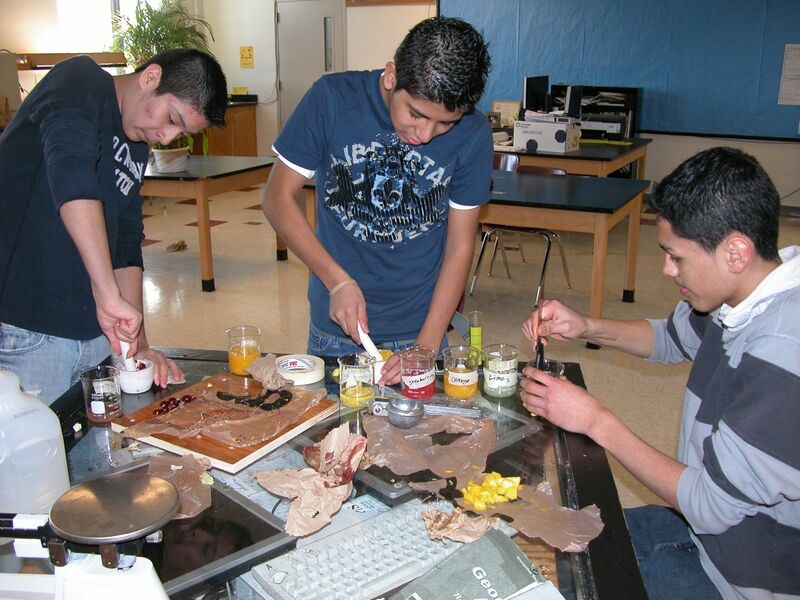 Create and share learning objects with students and other teachers such as these ones that were used for the activity pictured above to the right. Create and share and improve lessons such as at the LeMill site. 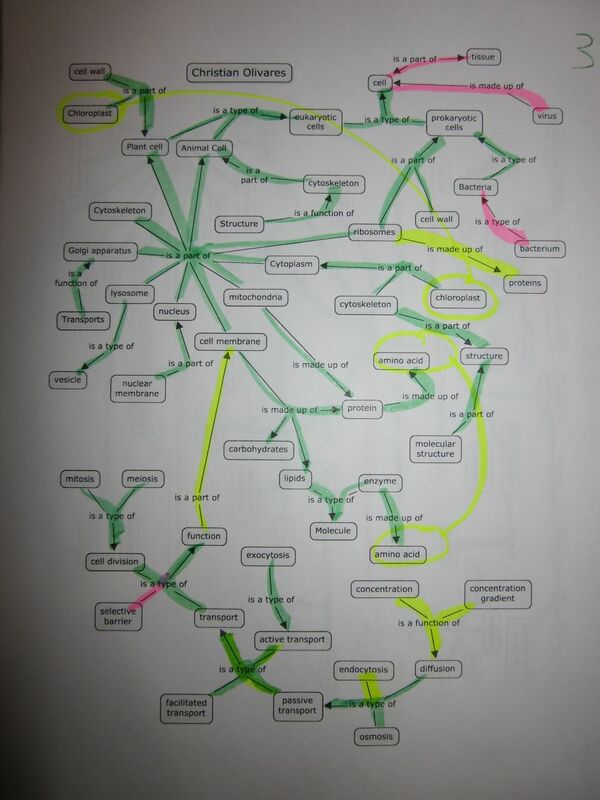 Example of a graded concept map. Green=Good; Yellow=Partly Good; Pink=Bad.